Seaside Heights is continuing to look into the possibility of constructing some type of sea wall to protect against future coastal storms, borough officials said. 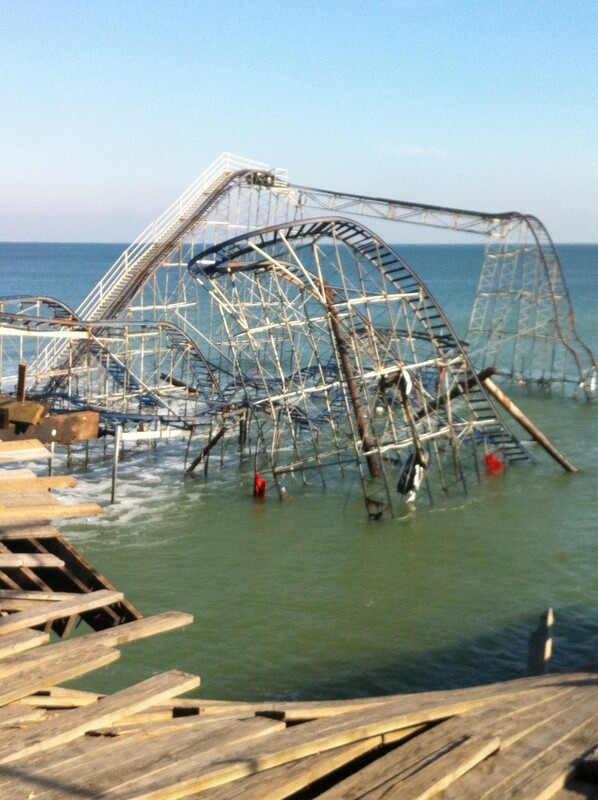 The idea of a sea wall was first floated in 2013, shortly after Superstorm Sandy devastated Seaside Heights and many neighboring communities. The borough is currently preparing for a federally-funded beach replenishment project that will include the construction of 22 foot-high dunes the length of the town, with the exception of areas where piers stretch into the ocean. State officials have said the dunes may block the view of the ocean from the boardwalk in certain areas, depending on the natural elevation of the beachfront, which varies from north to south along the shoreline. The replenishment project is currently in limbo as state officials and the U.S. Army Corps of Engineers wait for easement and condemnations to be settled across Ocean County’s northern barrier island – primarily in Bay Head and Point Pleasant Beach. The replenishment plan calls for the beach to be widened to about 200 feet and the vegetated dune to be constructed – it does not include a sea wall, which would be a separate project. “If it’s done in conjunction with the beach replenishment project, that’s where the Army Corps gets involved,” said Borough Attorney Jean Cipriani. 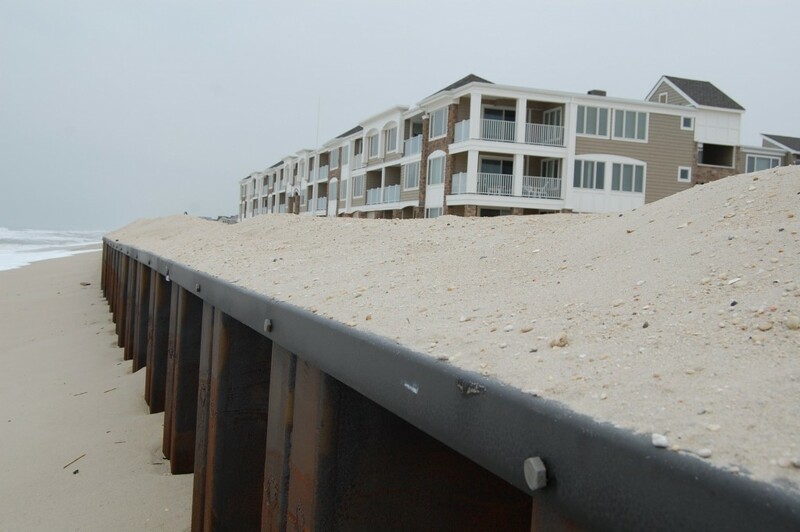 Two Ocean County towns – Mantoloking and Brick Township – had a sea wall installed over the course of the 2014-15 winter season. The steel wall, made of sheet pile, was driven 39 feet under the sand to act as a last line of defense against strong storms. The eventual dune to be built by the Army Corps will be constructed over top of it, acting as a primary measure of protection. Had the underground sea wall been intact during Sandy, the ocean would not have breached the barrier island at the Mantoloking Bridge, officials have said. The state received federal highway funding to build the wall in Brick and Mantoloking since it helps protect the rebuilt Route 35 in what is considered the most vulnerable areas of the island. Seaside Heights has not decided if the approach taken in Brick and Mantoloking should apply to its own potential sea wall. 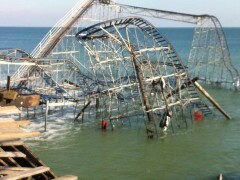 “The town had applied for a grant through FEMA for a sea wall and that’s what we have not heard on yet,” Cipriani said. In order to help protect the borough in what is predicted to be a busy season for nor’easters, Seaside Heights public works employees last week began using equipment to move sand up toward the boardwalk area to protect it from erosion during the fall and winter.